Famous for its rustic and traditional décor, the resort prides itself on its authentic Fijian allure and charm. 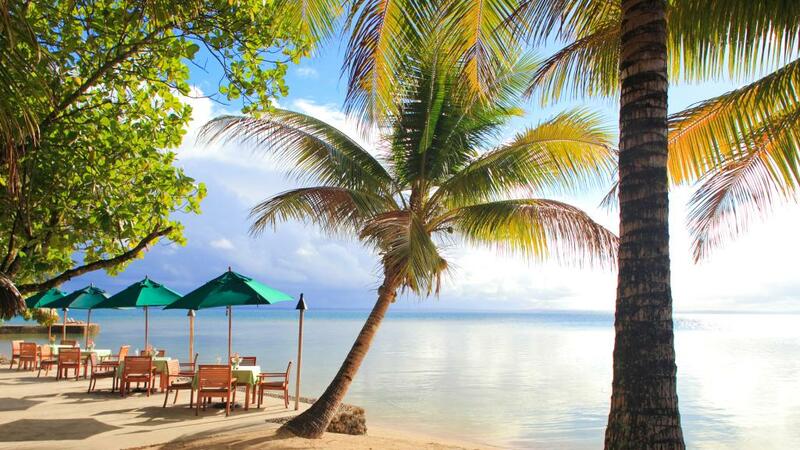 As well as offering stunning accommodation in a beautiful beachfront setting, Toberua Island Resort is also famous for being one of the most eco-friendly resorts in Fiji. The privately owned island features premier facilities, fantastic diving and 16 traditional Fijian bures. Perfect for families, and couples alike, Toberua Island Resort offers dreamy accommodation a huge range of complimentary activities to keep guests more than entertained. With an on site day spa offering a range of massages, body wraps, facials and beauty treatments, guests can transport to a world of relaxation and tranquility. Toberua Island Resort Owners, Joanne and Glen Inger are dedicated to maintaining the resorts traditional charm, as it is a major drawcard for tourists. "We decided that we would upgrade it, but not modernise it because it would lose that special Toberua charm and it had to remain Toberua which we have achieved," Ms Inger said. Ms Inger describes her staff as being extremely attentive and hardworking, which is what makes the resort so successful, and keeps guests coming back time and time again. "The staff can remember all the guest's names when they visit and when they see our guests arriving they get excited especially with the returnees," Ms Inger said. "They remember every single person that has ever been to the resort, which is just wonderful." And the review speaks for themselves - A guest review on TravelOnline.com could not praise the resort and staff more. "This was undoubtedly one of our best holidays. Toberua is paradise on earth with its gorgeous setting and the special feel of intimacy. But what makes it really special is the staff who are incredibly welcoming and friendly. The warmth of the people , the beauty of the place and the fabulous dining will stay with us forever. We will certainly go back one day!" said Maria M.
Tobeura Island Resort is celebrating its 50th anniversary this month. To find out more about accommodation and holiday packages to Toberua Island Resort, click here.